Zendesk apps have the potential to greatly increase how efficiently your agents can do their work. Integrating a Zendesk App provides you with the ability to extend how much value your online customer service can provide. At Helpando, we’ve developed and integrated over 50 apps for our clients on a range of projects. The purpose of the Zendesk apps we build – and in general – is pretty consistent. Basically, our clients are looking to connect two systems to “talk” to each other and we pull specific data from one and display it in Zendesk. 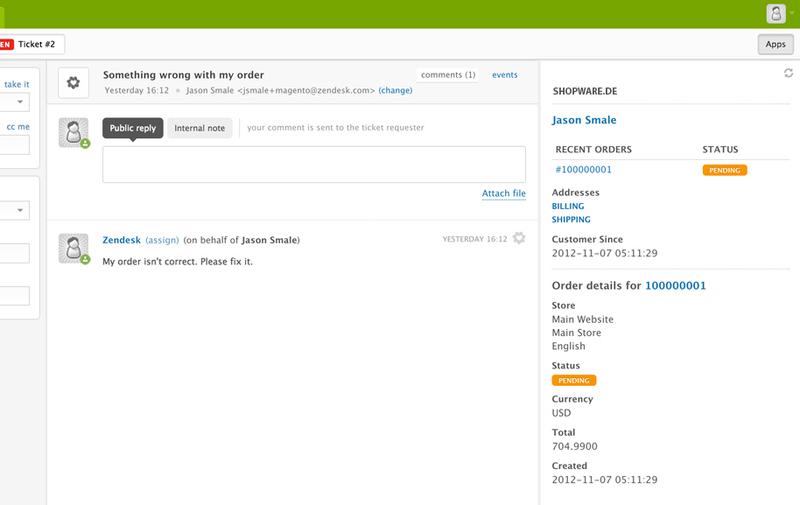 Integration Between Zendesk and Shopware. Integration between Zendesk and Shopware – the app pulls in relevant customer data from Shopware into the Zendesk interface thus providing agents with suited information to help deal with client issues more direct. This reduces any confusion and allows customer service representatives to be well informed about their clients – beyond what you’d normally see in Zendesk alone. The client’s information is automatically shown, in the right-hand side, providing useful and timely information for agents. Our client was looking for an integrated way to tracking time required to solve tickets on Zendesk. Toggl is a time tracking web app. Our goal was to streamline the whole process and centralize it, to allow admins to get a strong overview of their reps efficiency. Whenever a ticket is created, the app creates a task in Toggl and logs the time agents in Zendesk spent on solving the ticket. Having Toggl as a main time tracking system, the client now has the time their agents spent on tickets in Zendesk saved in one central system. We also integrated Gemini, their development platform to the same Toggl system. 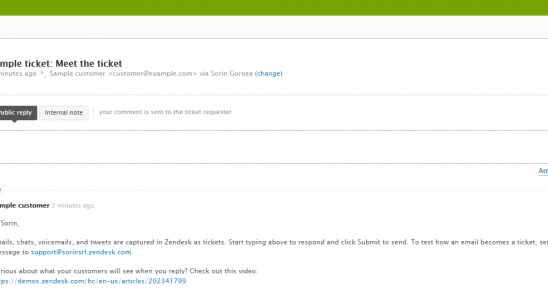 Agents can now track time in spent on tickets using the Toggl Zendesk integration. 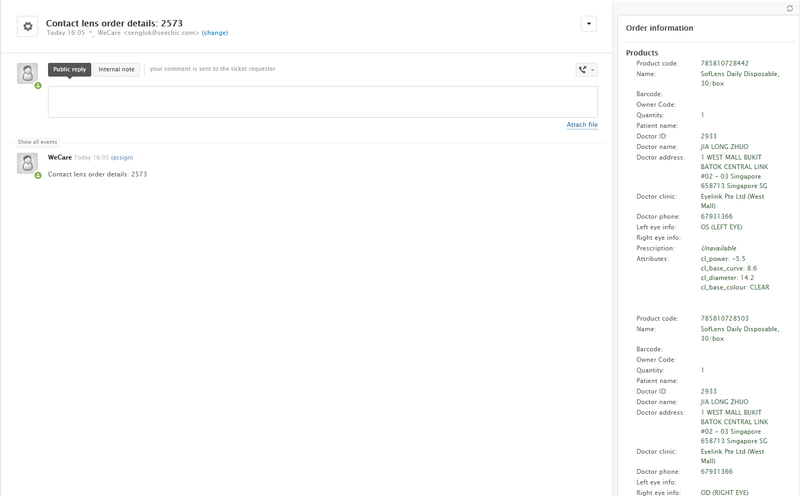 The app pulls in customer data from Odoo into the Zendesk agent interface. SeeChic is a Singapore startup that sells eyewear and uses Odoo as a customer management tool. The Odoo and SeeChic integration makes it that much easier to remain informed on their customers. 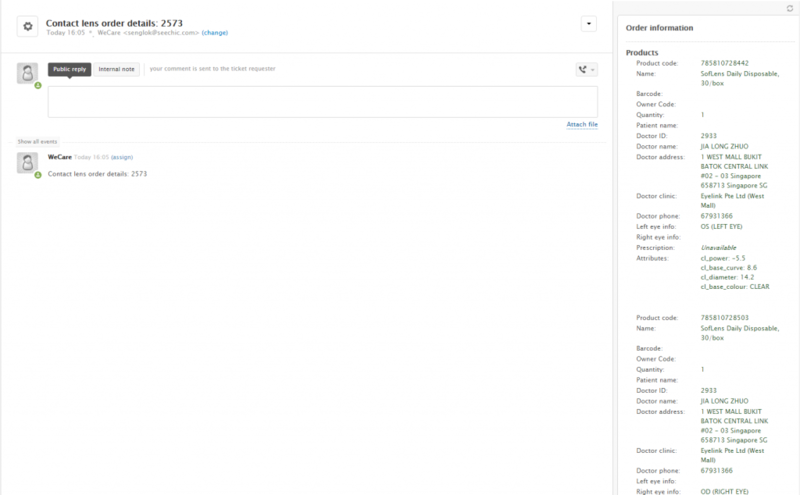 When you want to know more about your client’s profile, integrating Zendesk with a customer management tool can be helpful. This is a small sample of some of the Zendesk app integration work we’ve done. If you’d like to know more about how we can help you, take our scoping tool for a test.